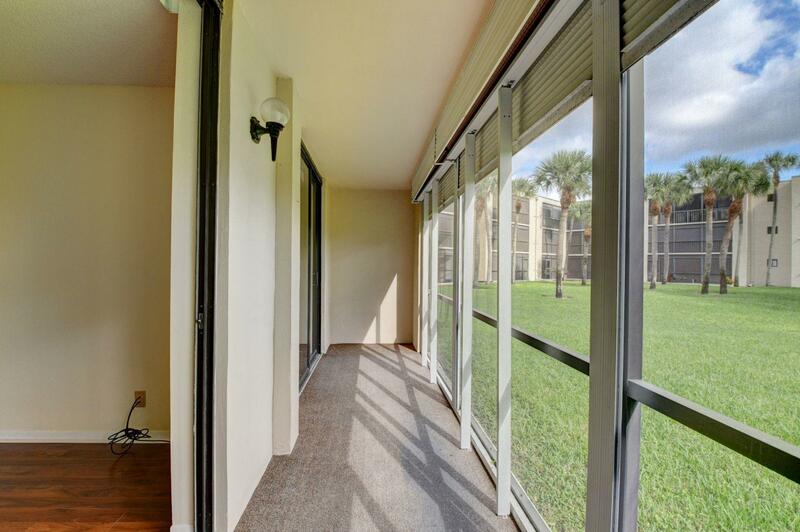 Don't miss this corner 1st floor 2 bedroom, 2 baths unit, with garden views from the patio and lake views from a second bedroom window. 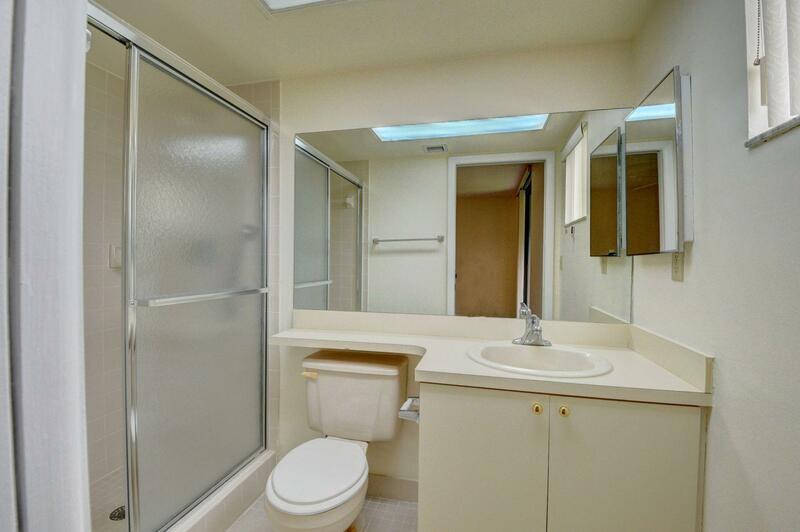 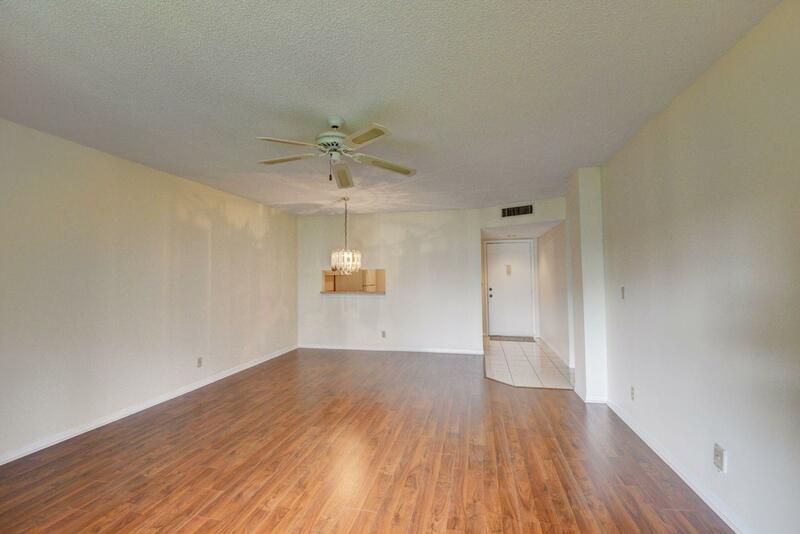 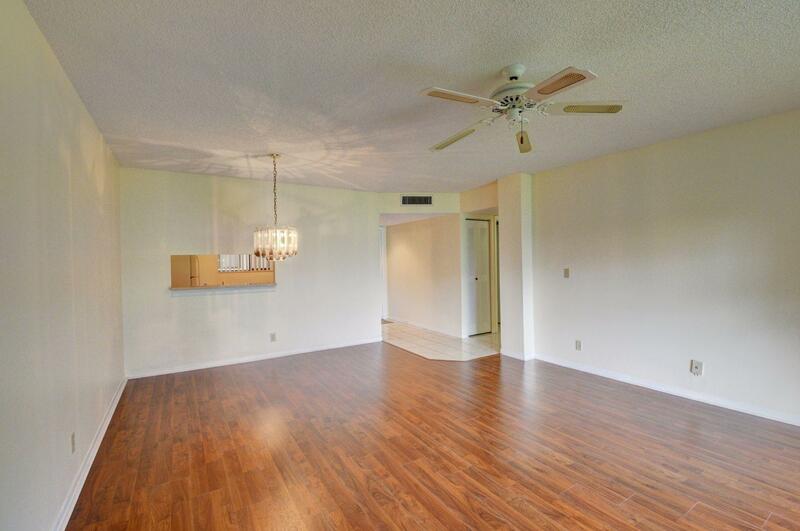 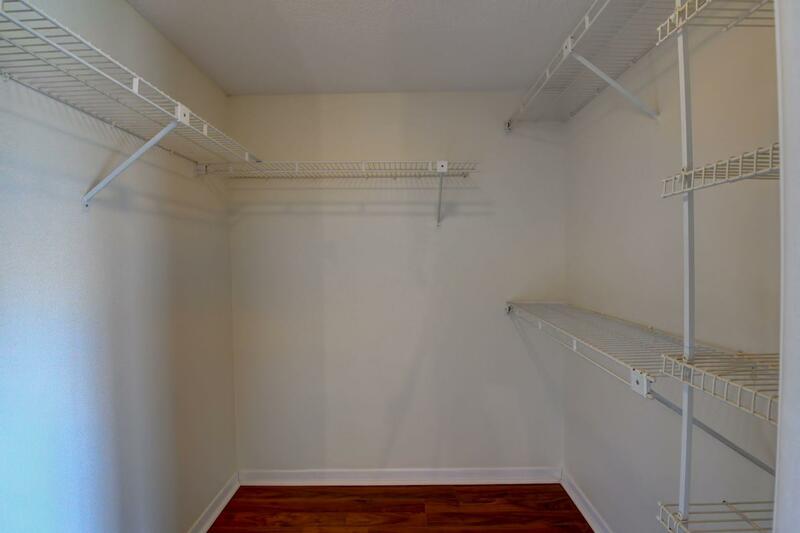 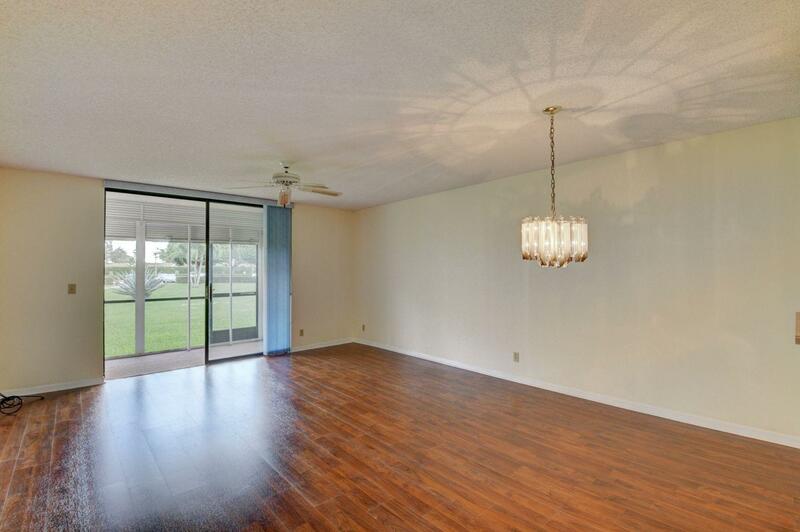 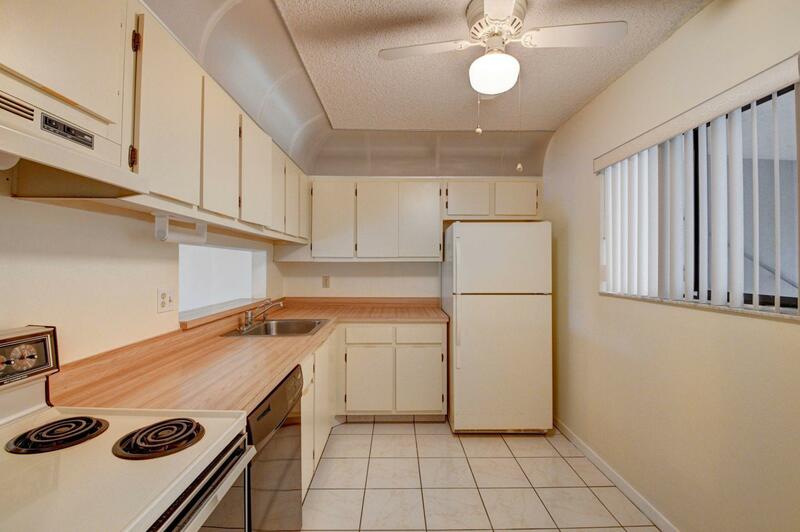 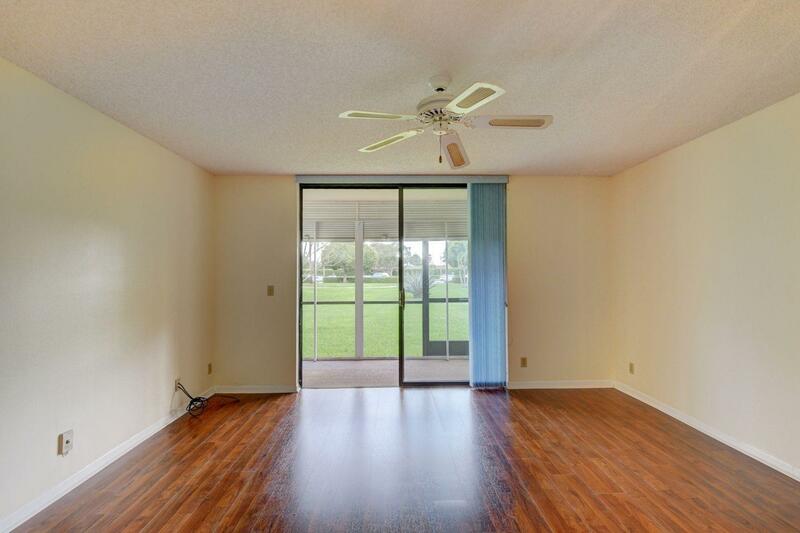 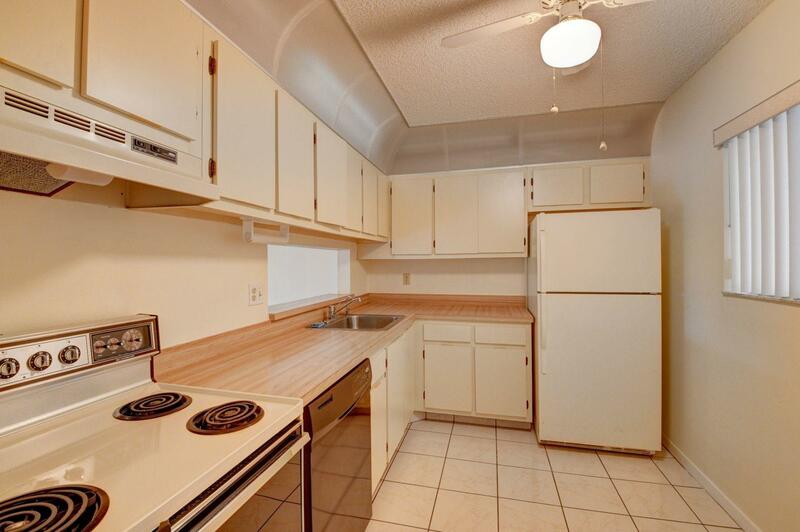 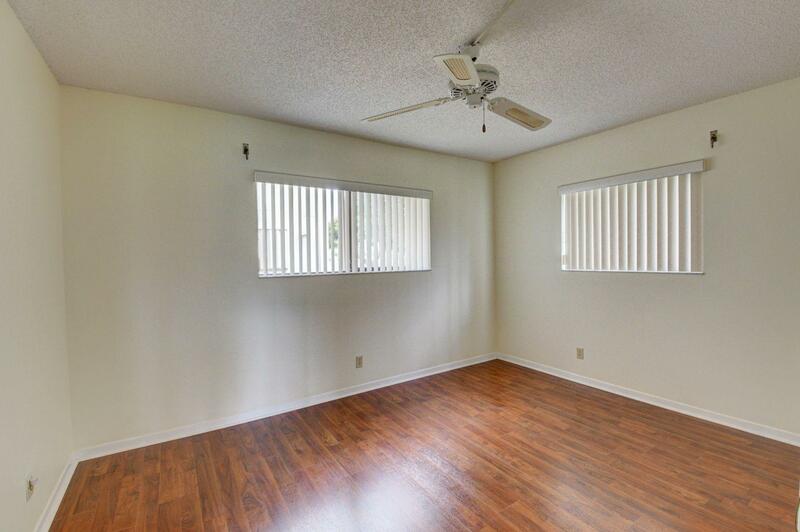 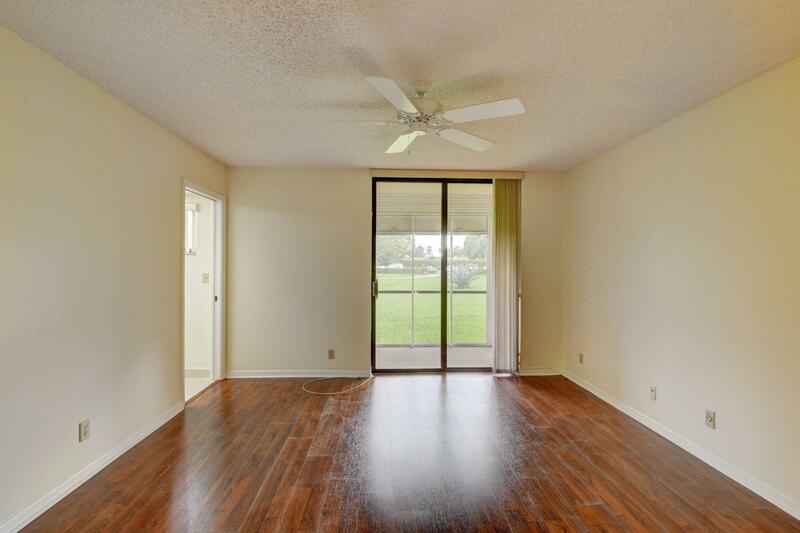 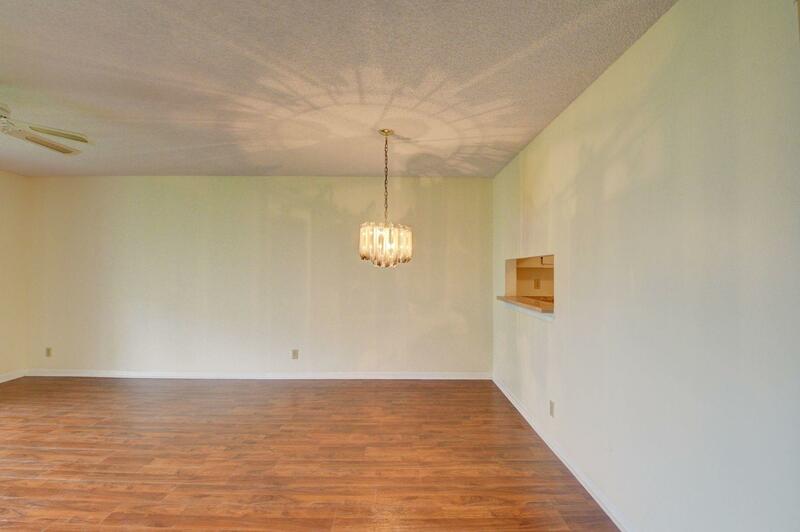 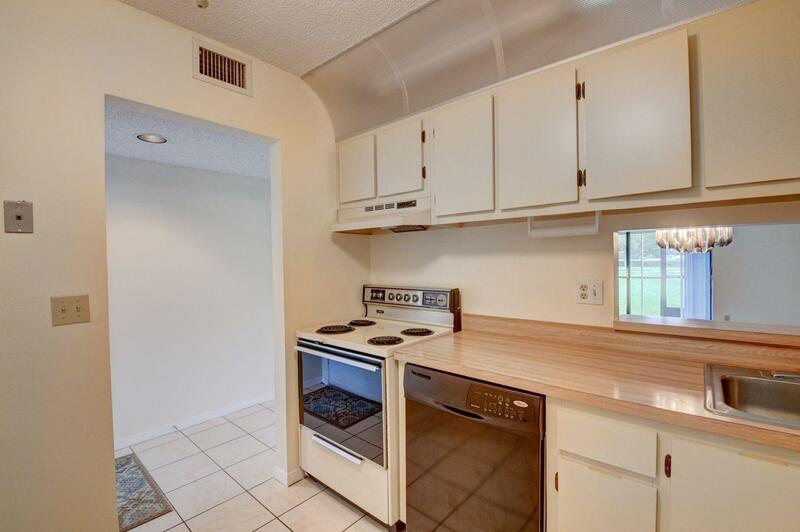 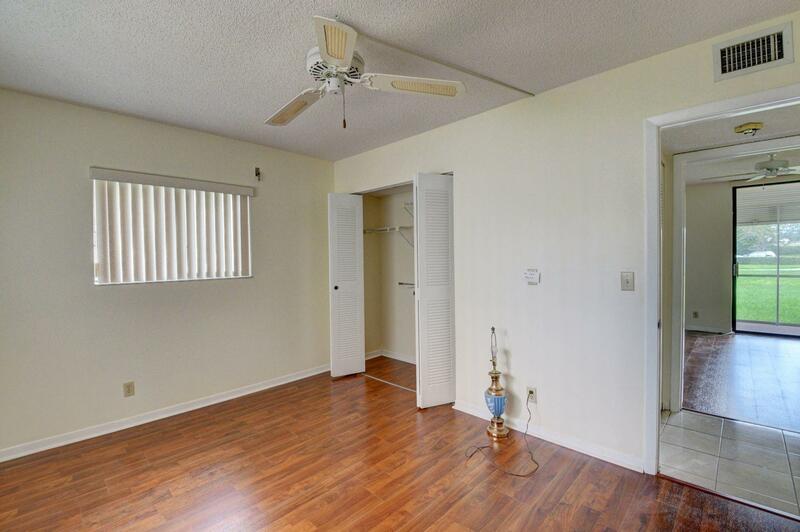 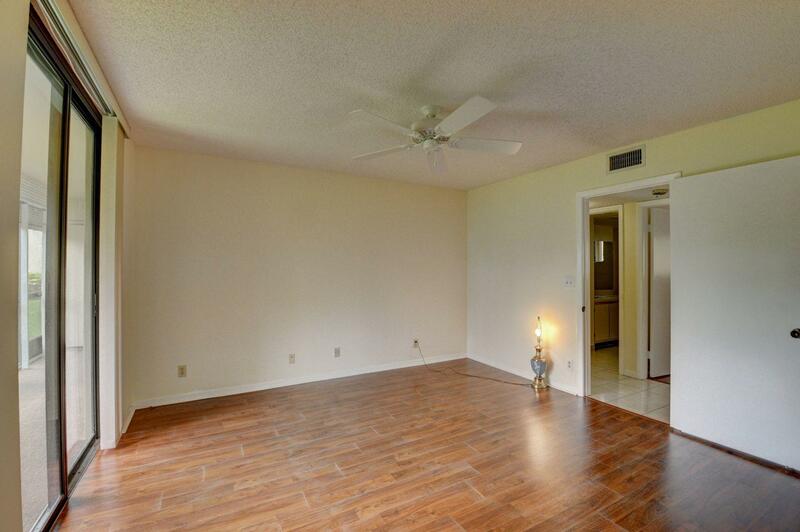 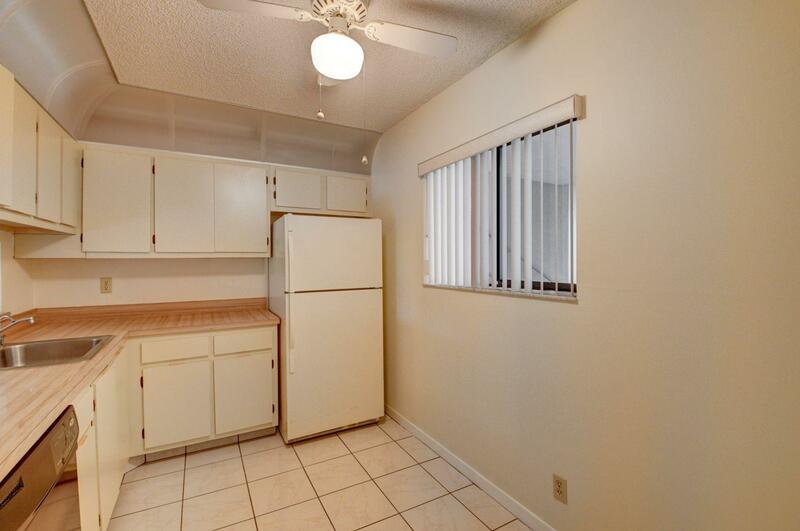 Updated wood floors, new water heater, hurricane roll-down and accordion shutters, walk-in-closet. 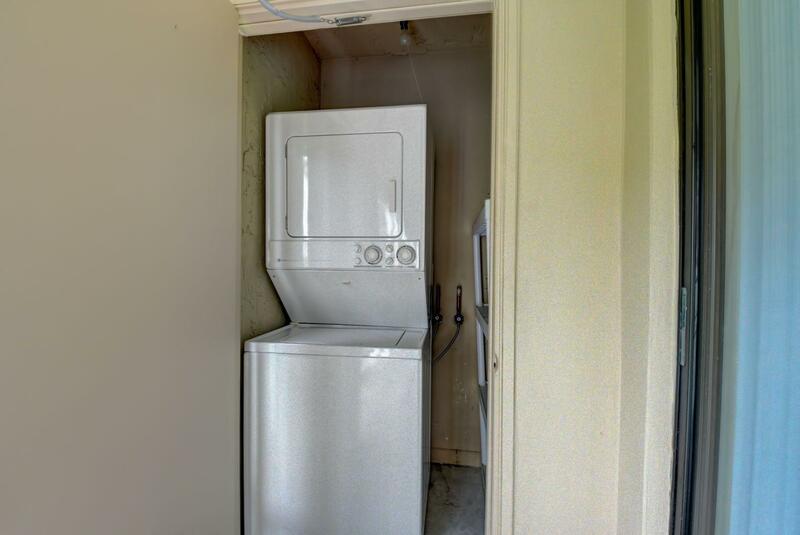 Unit has washer and dryer. 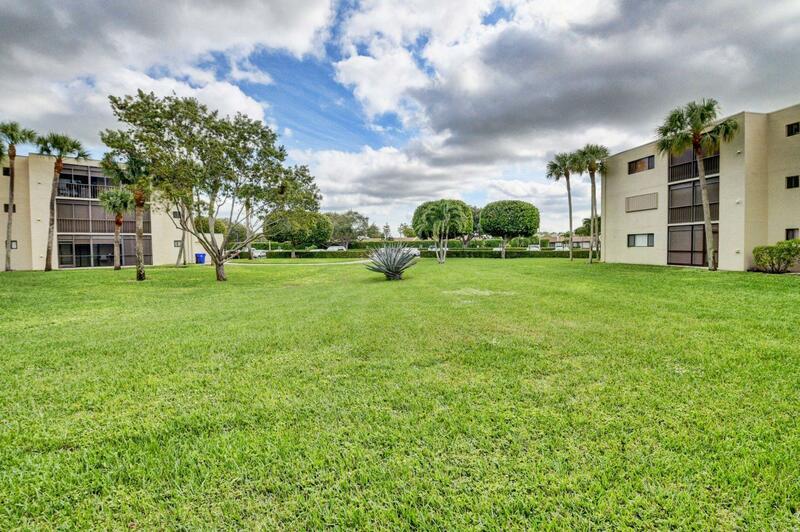 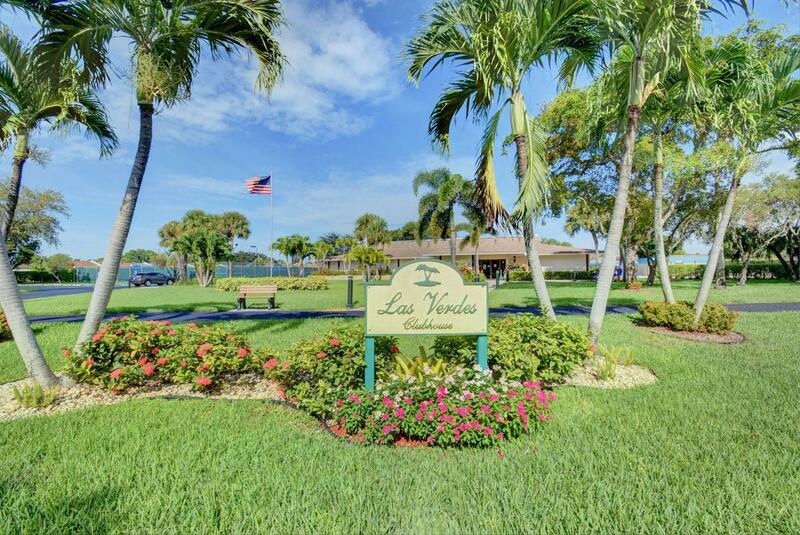 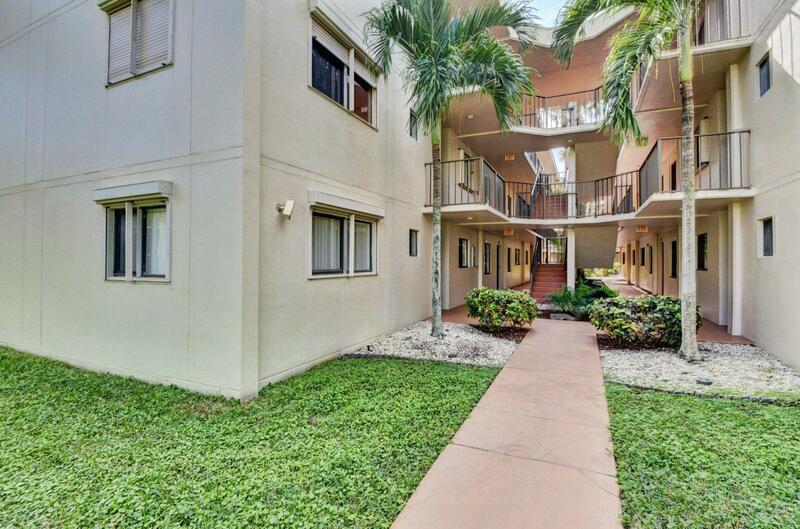 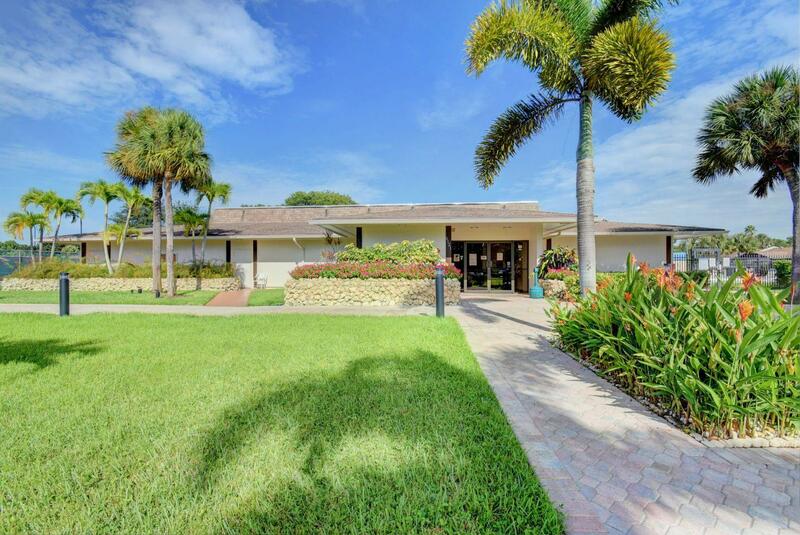 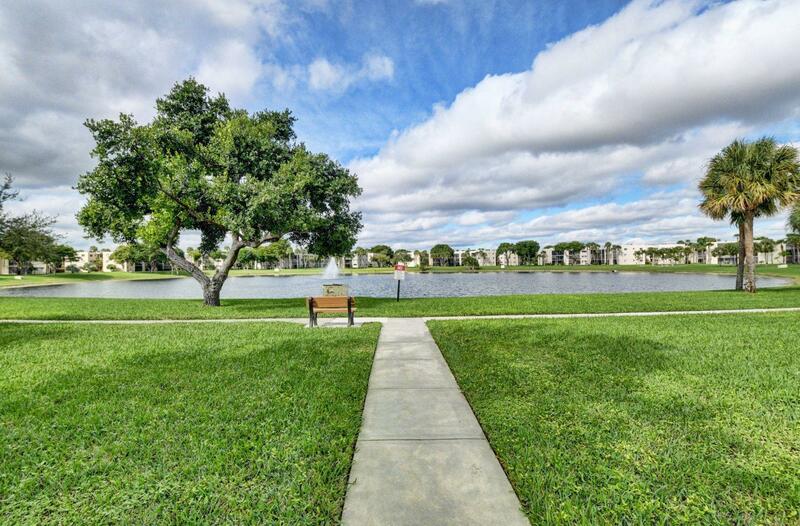 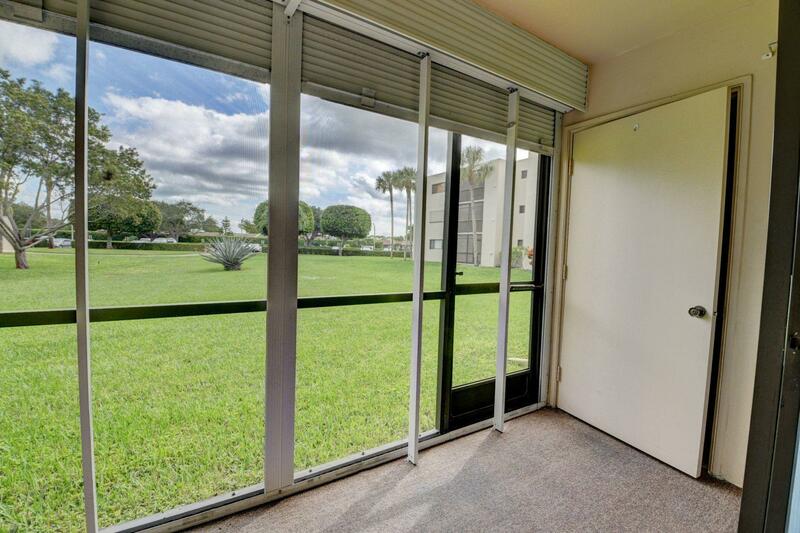 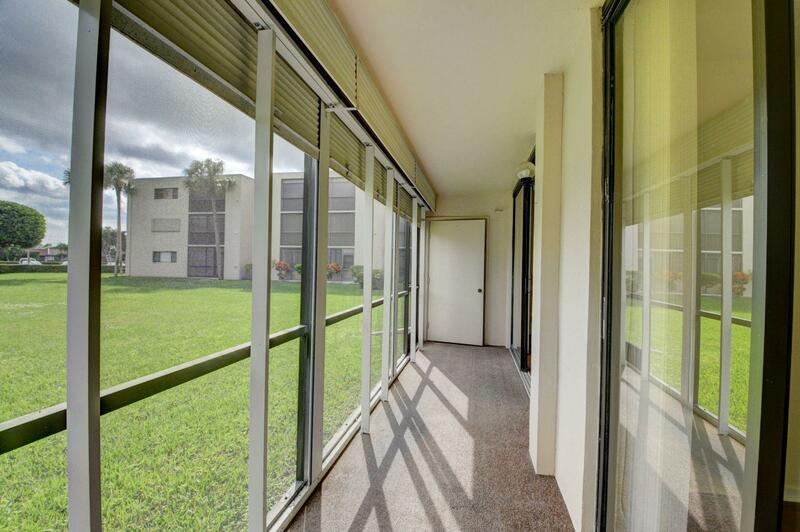 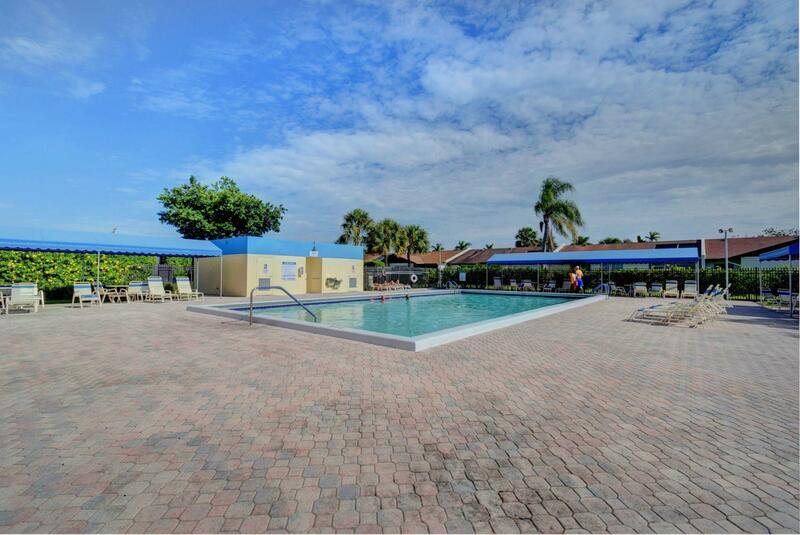 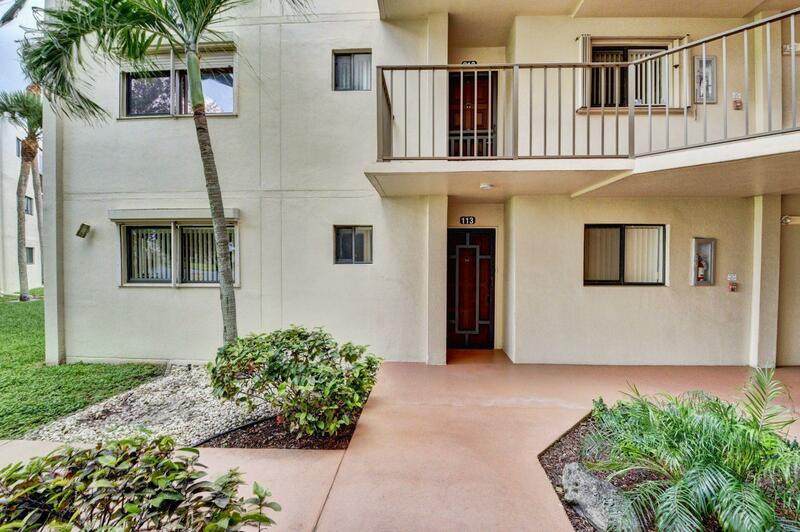 Las Verdes is a mix community with a 55+ and all ages variety conveniently located near the Delray Medical Center for professionals who want to be within the minutes from work, short drive to the beach, near by shopping and restaurants. 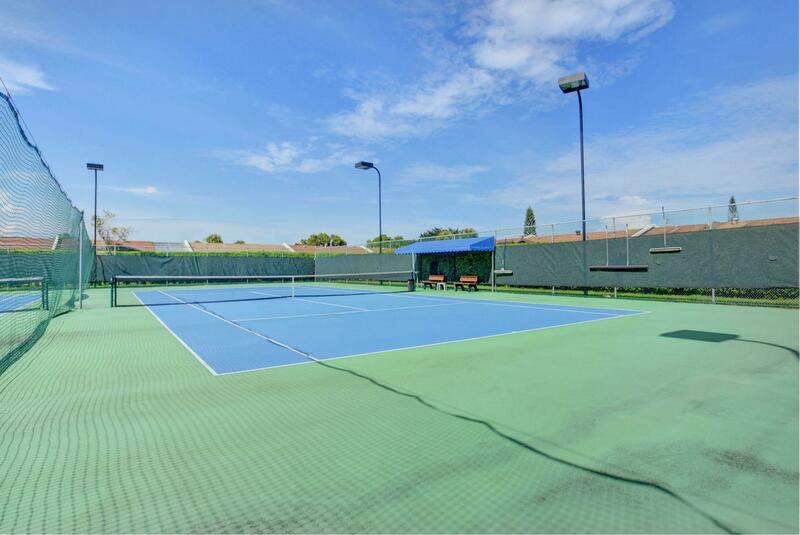 Should I mention the famous downtown Delray Beach with lots of entertaining bars, restaurants, boutiques and much more...Community has tennis courts, pools and the exercise room. 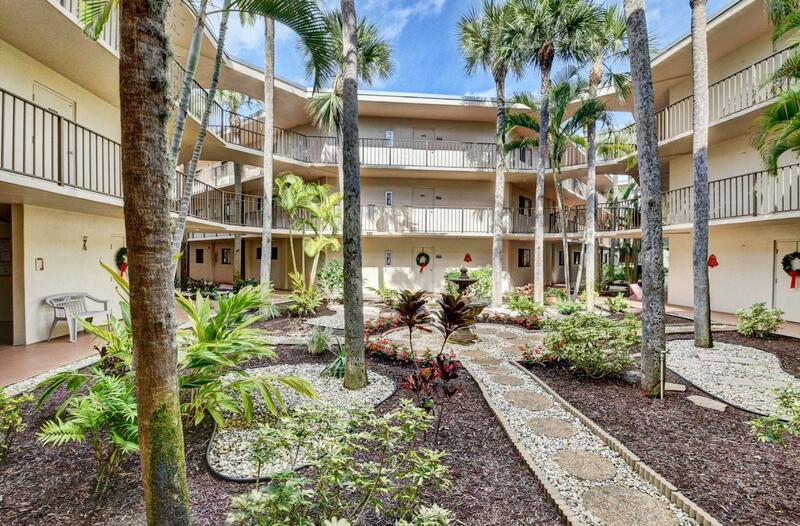 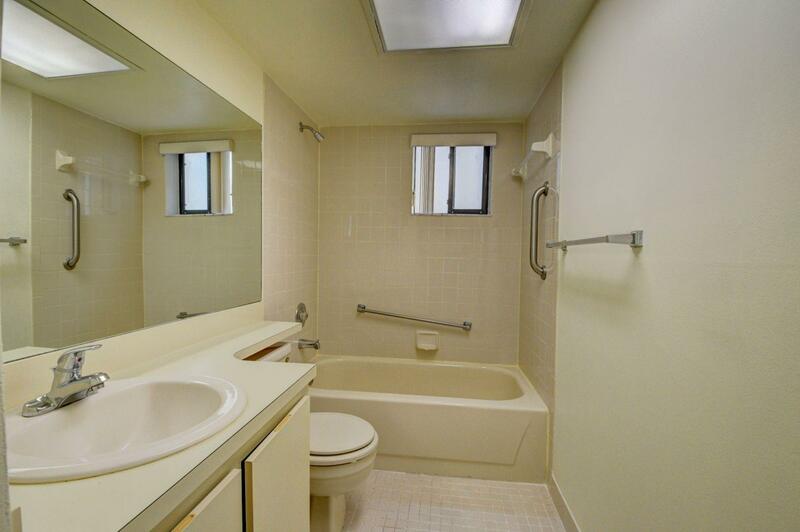 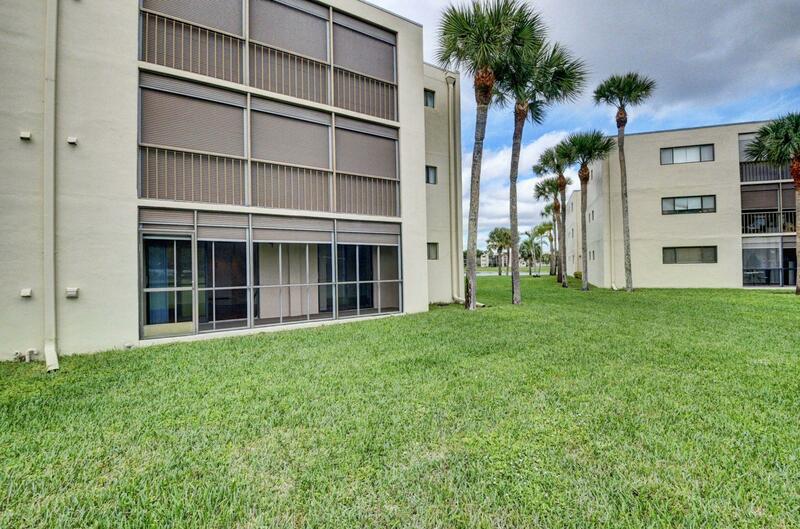 This is a great condo for a year around or a vacation getaway. 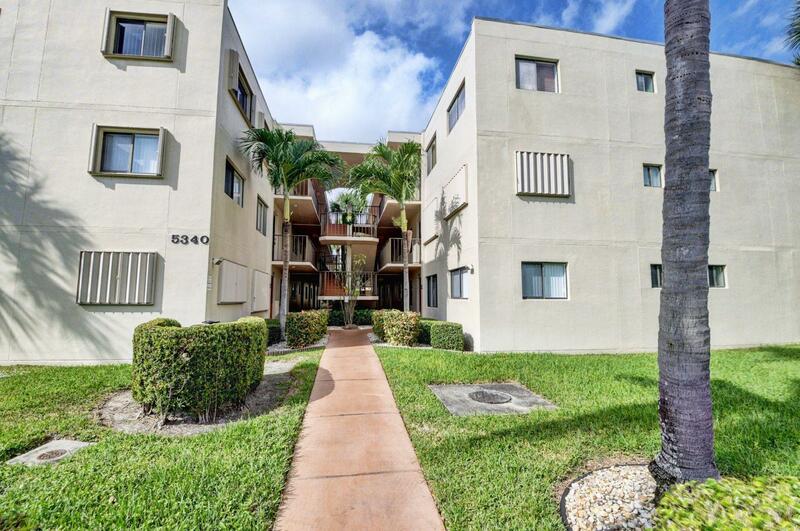 Call agents to view!